This must be the third major attempt to repeal the Affordable Care Act. Why do they want to repeal it? There's nothing better at hand. And it's not like we don't have the money, after giving trillions in a tax break to the wealthy. 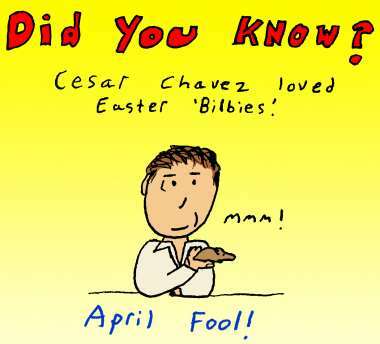 I'd like to think that Cesar Chavez would be amused at all this overlapping of holidays. And I wouldn't begrudge him a Google doodle. There are bigger things to worry about in this world, like improving labor conditions and preserving endangered species.